We are looking for expert writers to write guest posts on our blogs on almost every topic. Do you have a lot to say but lack the ability to reach a mass audience? Do you want to join a team of professional writers, who impart your knowledge to thousands of our readers? Or do you want to get noticed by thousands of people who read us everyday by writing a guest post/article? You can include 1 back link of your website in article. Submit your articles to get quality and permanent backlink, boost traffic to your blog/website and tell the world about your talent and expertise. 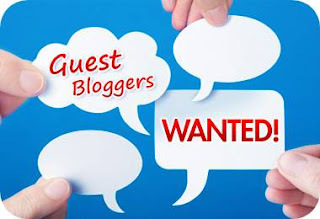 If your article/guest post can get attention of visitors of my blog, then they will also visit your website/blog and you will get extra visitors and more page views. If 5 of your articles/posts are published on our blogs, you will be entitled as Star Blogger and you will be considered as Regular Blogger/ Co-Author on our blogs. You will be given extra benefits and control over your articles which also include your access to our DashBoard so you can write and edit blogposts directly on our blogs. Your profile with your photo(s) will also be published on our blog. Post must be originally written by you and should not be copyrighted. Post/article must not be duplicated from any other website/blog. Posts which are previously published by you in same/modified form on your/any other website/blog are not accepted. It is highly recommended that a post should include at least 500 words and appropriate photos. We are not currently paying for guest posts. Affiliate Links are not allowed to be included in articles. Your article should not contain links for unrelated sites /deep links. Normally, your guest post will be online within a day or two but in some cases it may take up to a week depending upon workload, so be patient. Your guest post should not be too short and/or unprofessionally written. Don’t try to include links to bad/ banned/ adult/ SPAM/ Gambling Sites and other sites which are not adhere to Google AdSense Quality Guidelines. Promote your article on social media Facebook, Twitter, Digg, Stumbleupon etc and other blogs and website so that the Page Rank of the article improves and you gets link from High Page Rank Page. You can link back to the article from your blog to let your readers know about your article. You are appreciated to respond to the comments on your guest posts. Please email all your guest posts to web_nazam@live.com in a MS Word File as an attachment. If you have any other questions, please feel free to email us.